The thought of going to a concert with screaming teenage girls, usually would be enough to send me running in the other direction. 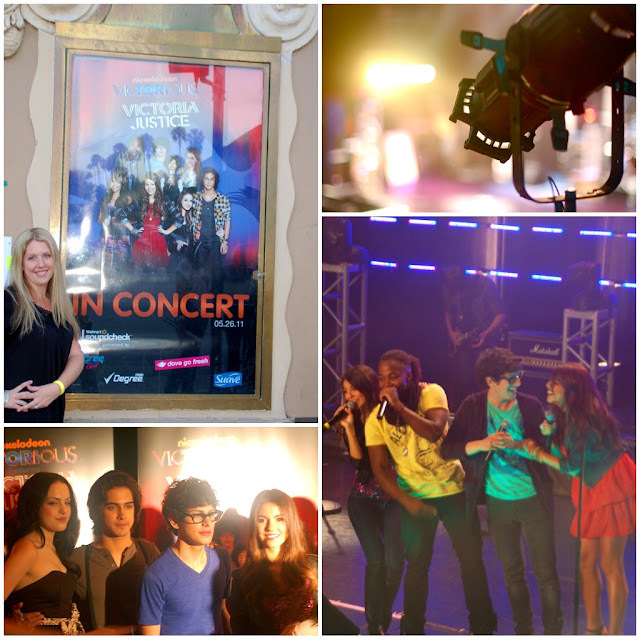 (Unless it was the Justin Bieber Concert - of which I would LOVE to go to) But when I got the invite to a concert last week for the cast from the hit Nickelodeon show VICTORIOUS, I was actually pretty excited. One of my favorite pop songs of the moment is "Beggin' on Your Knees" by Victoria Justice. That and the fact that my 13 year old daughter would LOVE me forever if I took her to this VIP Concert. My daughter's favorite performance of the night was Best Friend's Brother. The entire cast did a remake of I Want You Back by The Jackson Five, which of'course us "Old folks" totally loved! They also played a few more songs that really Rocked! Victoria Justice kind of reminds me of a Katy Perry for tweens. Super Cute, with a fun-loving personality that makes guys want to be with her & girls just want to be her. The reason for this VIP Concert in Hollywood you ask? Well there is a new campaign, out there called "Don't Fret The Sweat" have you heard of it? It's an online destination place for you to gather facts, get expert advice & find a solution to the physical changes that every tween / teen is faced with. You know, like growth spurts and more stinky stuff like new body odors, etc. They also have a pretty sweet FACEBOOK page that you can like, and it will play matchmaker between your teen & their deodrant. If you'd like to see more photos that I took from the concert please go to my FLICKR PAGE. Special Thank You to Caitlyn for hooking us up with tickets. It was such a fun family fun event. 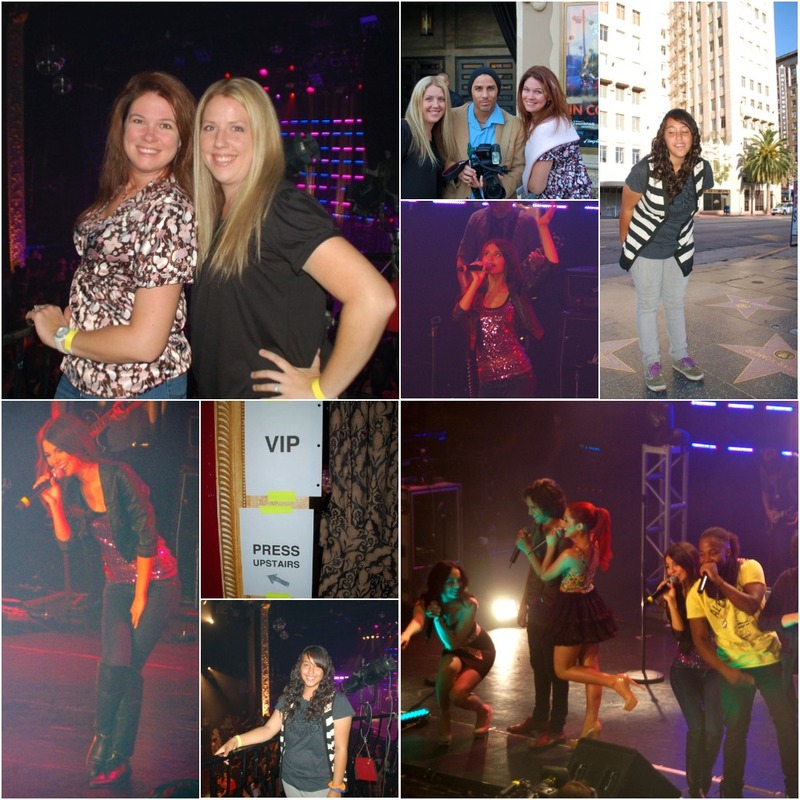 My daughter is still talking about how Victoria Justice talked to her for like a minute at the Meet & Greet. Those kids were all very sweet which was very refreshing. iParty With Victorious! If you want to see the concert it should be up in the next few months over at WALMART SOUNDCHECK. Look for me! alogha iam a huge fan of victorious. i would like to go to thier concert and i want to meet them to. because she is so sweet and amazing singing talented vioce.